Protect you and your family's comfort in the hot summer or cold winter months with our HVAC company by your side. Acors & Griffith, Inc. Heating & Air Conditioning is proud to offer you the most cost-effective HVAC repairs and installations. 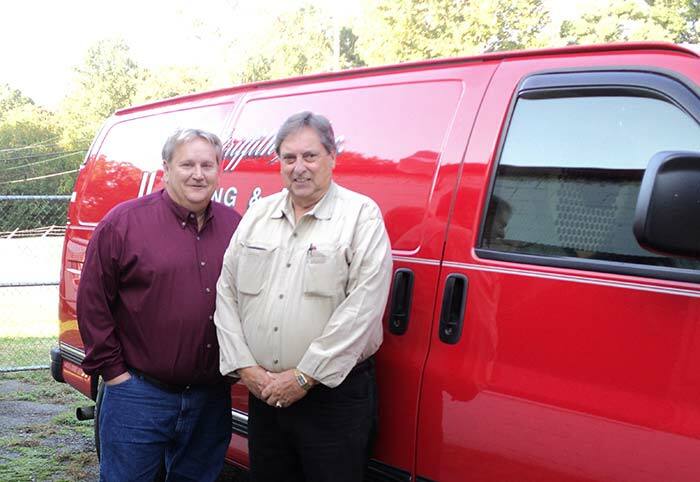 Our HVAC company, Acors & Griffith, Inc. Heating & Air Conditioning in Richmond, Virginia, specializes in service and installation of most central heating and air conditioning models. Additionally, we handle the installation of high-efficiency air cleaners, attic fans, and humidifiers. Mike, Nowell, and the rest of the team are here when you need an answer or assistance with purchasing the best products for your property. Truly, there is no product decision that's more important than your heating and cooling system. Check out our special offers and save even more on our systems and services. Contact us in Richmond, Virginia, to request an HVAC estimate from our HVAC company. © 2019 Acors & Griffith, a Heating and Cooling company in Richmond, Virginia | 1603 Darbytown Rd. Richmond, VA 23231 | Login | Contact Us | Locally designed & built by Garza Web Design.